At Neligh Family Dentistry, we offer a variety of services to care for your mouth. If you have any questions or would like more information on how we can care for your teeth and mouth, please contact us today. This laser is used to help diagnose decay. It eliminates the use of the explorer, especially for children’s dentistry. 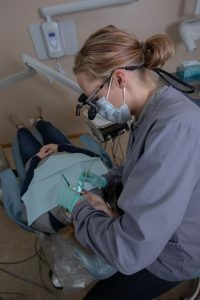 The intraoral camera allows us to take photographs of patients’ individual teeth and gums, showing broken fillings, active decay, existing restorations, tartar build up, and more. The photos are used to assist patients to see inside their mouth and discover their teeth conditions to better educate and help in formulating a plan of treatment.